He arrived to the F1 with Minardi in 1999. His major success was winning Le Mans 24H with Peugeot in 2009. He is also Ferrari test driver since 2004. 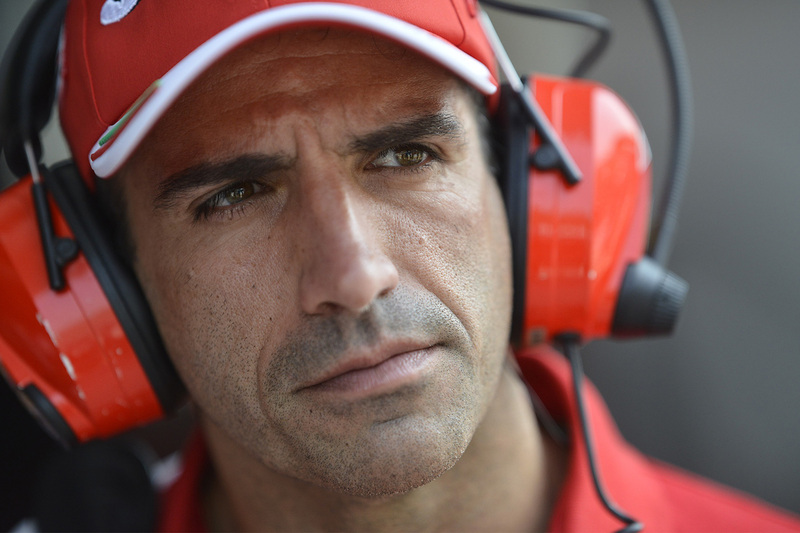 The Ferrari driver broadcasts each race for the Italian TV channel. He provides the technical analysis of each race alongside Carlo Vanzini, Jacques Villeneuve and Federica Massolin. The Ferrari driver is now also a permanent commentator for Movistar+, the channel that broadcasts every Grand Prix in Spain. The team includes Josep Lluis Merlos and Joan Villadelprat in Madrid, with Iñako Cano as presenter. There is also Noemí de Miguel, Albert Fábregas and Pedro de la Rosa.